Among the hardest available treks but still these treks are in reach of most people however one must be fit. 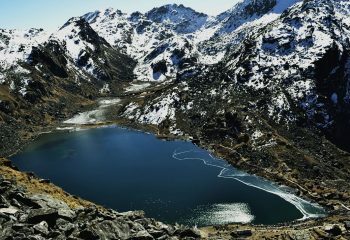 These trips go above 5000 meters and for the duration of 15 – 20 days walking up to 6-7 hours in a day. 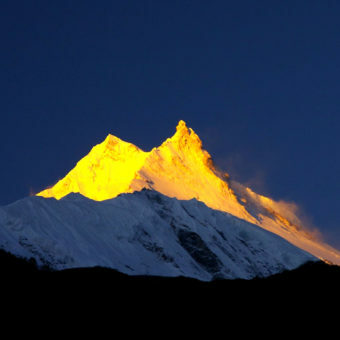 A Mountain Kick representative will receive you as you land into Kathmandu (4,600 feet) and take you to your hotel. Sightseeing around Kathmandu. Pre-trip meeting. We will drive you from one monument to another in Kathmandu so you get a sense why this ancient city is so popular among tourists. Kathmandu has been included in Unesco’s list of World Heritage Sites for its cultural, aesthetic, religious and historical importance so you won’t be disappointed. We have a pre-trip meeting scheduled for the day where we run you through the itinerary. We will leave for Pokhara in the morning in a luxurious tourist bus. It’s a seven-hour ride through serpentine roads in the hills with stops for lunch and snacks. There are several small towns among green hills and it’s certain that you will not be bored. We reach Pokhara in the afternoon and the beautiful city on the bank of the Phewa Lake offers an amazing nightlife to relax you ahead of your trekking trip. Fly to Jomsom (8,999ft). Then trek to Kagbeni (9,219ft). It does not even take half an hour to reach Jomsom by flight. This tourist town lies on the either side of the Kali Gandaki River and you will find whatever you need here. Vegetation cease to appear further from here and it is all rocky and barren terrain. 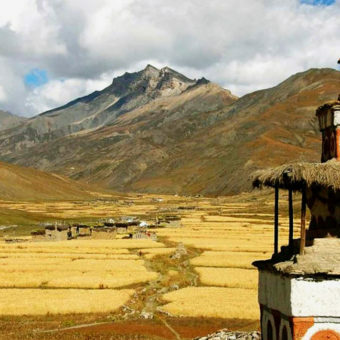 A three-hour hike takes you to Kagbeni, a village made up of mud houses. You will walk up the Kali Gandaki gorge, the deepest in the world, to get there. Winds are so violent this high that even stones get blown away. The beautiful Mustang Valley below and the Himalayan range above are clearly visible from Kagbeni. We trek up to Chele (Tshele) making our way through the Kali Gandaki River Valley. 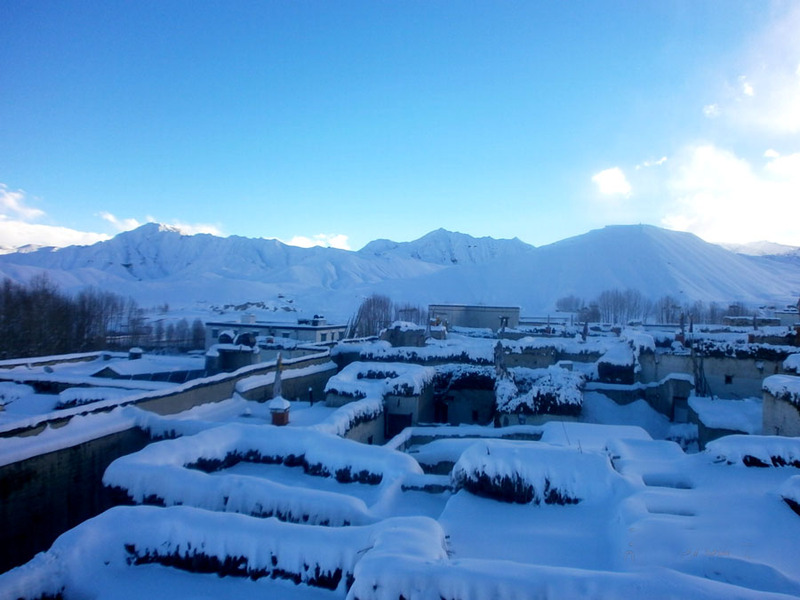 It is a long and hard day of trekking in rugged terrain and surprisingly there exists settlements is such conditions. We will pass a village or two till we reach Chele after eight hours of leaving Kagbeni. We pass through several small river beds and some more villages this day. It takes about five hours through this scenery to reach Geling. The Himalayas will be ever present in the distance. There are steep ups and down all the way to Charang. But surprisingly there are also farm lands in between where locals grow corn. It is a day of trekking for roughly five hours. Reaching Charang, you can visit the 700-year-old Khar palace and the monastery within it. 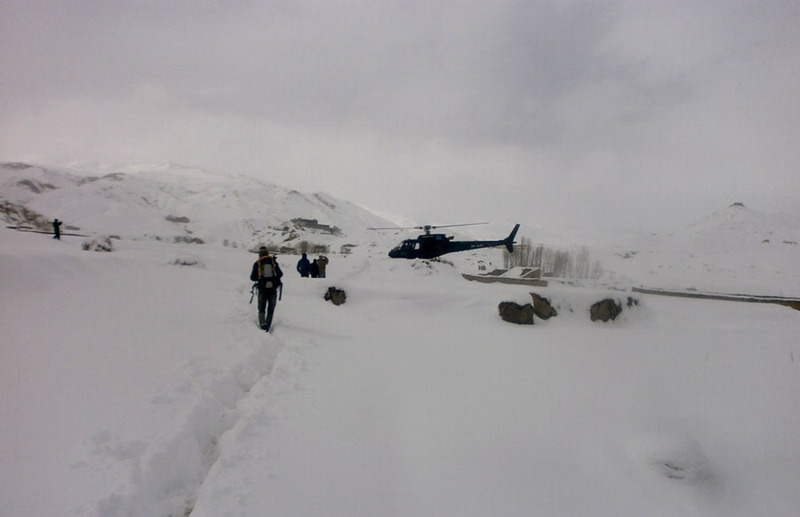 Trek to Lo Manthang (12,500ft). 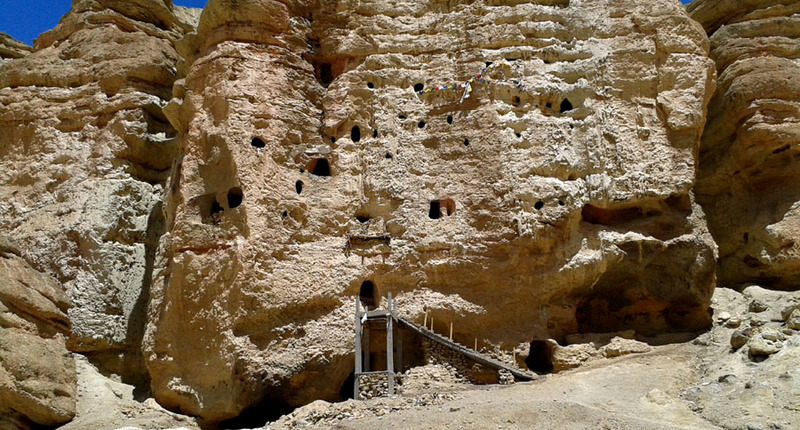 Six hours of hiking up a very rocky terrain takes you up to Lo Manthang, the capital of the legendary kingdom on Lo, which was built in the 14th century. Structures from those times, like the royal palace, monasteries, temples, other buildings and walls are still standing in this city. The city has also preserved its tradition and culture which remains unsullied. Foreign tourists were allowed into the kingdom only 25 years ago. 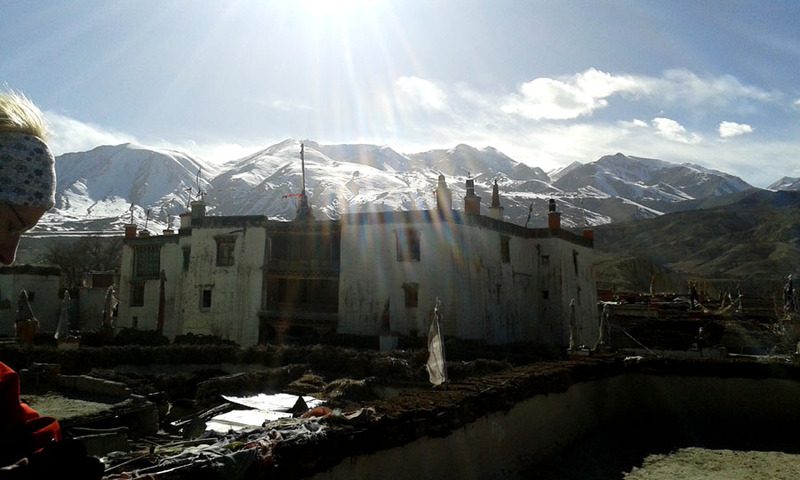 Visit Namgyal Gompa & Tingkar. 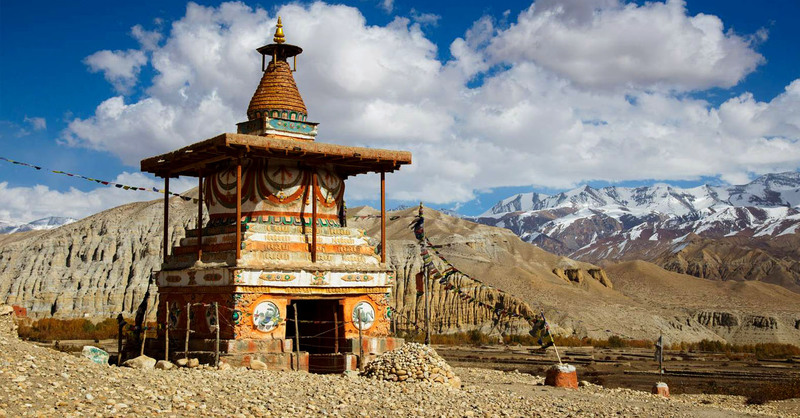 We explore some places around Lo Manthang today. 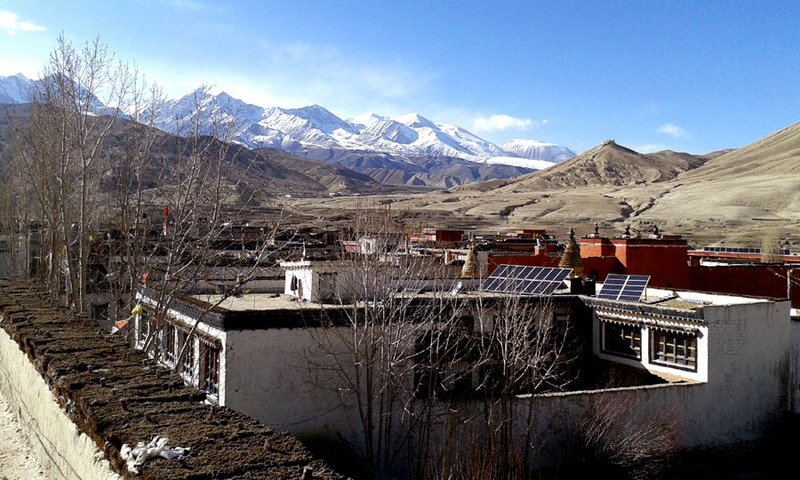 Immediately to the west is Namgyal Gompa, a monastery on top of a hill. It is one of the most popular monastery among locals and tourists alike. Beyond the monastery is the village of Tingkar where we will visit the ruins of ancient fortresses. We will return back to Lo Manthang after this day excursion. It takes five hours to reach the village of Dhi. 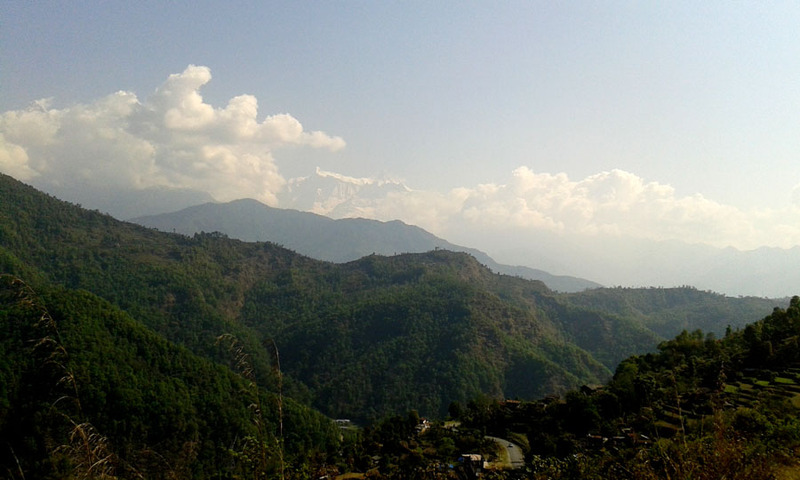 The first part of the trek involves steep uphill climb after which comes the descent to Dhi. We follow the river for about two hours and get across it near the holy lake of Damodar Kunda. After that, barren hills dominate the scenery till we arrive at the tiny village of Tange. We walk past several hills in what is a day of downhill trekking till we arrive at Tetang. Tetang is the extension of the Chusang village which lies further downhill. 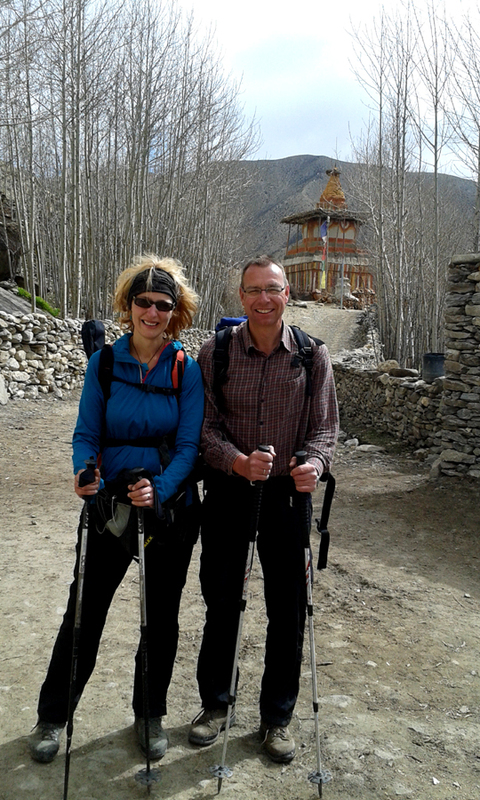 We will walk back to Jomsom today. 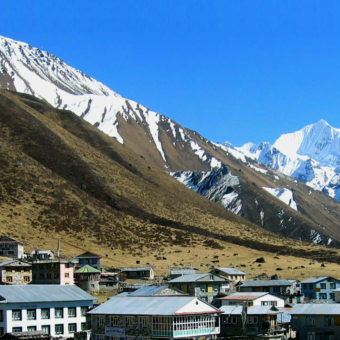 It is a downhill trip and you will be getting further away from the Himalayas as you reach Jomsom. Fly to Pokhara. Sightseeing in Pokhara. A less-than-twenty-minutes flight takes you to Pokhara. 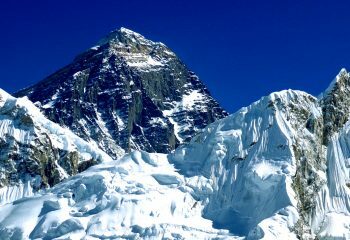 You must be tired after so many days of walking in the Himalayas, so you might want to relax at night clubs or perhaps a quite restaurant to contemplate on what you have achieved. Anyway, you will be in the comfort of a city so have fun. Leisure day. Sightseeing around Pokhara. There are plenty of places to visit in Pokhara like the Devi’s Falls, the Bat Cave, the World Peace Pagoda, the Phewa Lake, the Sarangkot Hill and many more. Pokhara is a great place to go shopping in the day and partying in the night. Drive to Kathmandu by tourist bus. Farewell dinner. You will be on a plane back home and we will be there to see you off. Thank you and come again. Fully paid bus tickets for Kathmandu-Pokhara and Pokhara-Kathmandu ride. Other rides in private vehicles included in the itinerary. Airfare for Pokhara-Jomsom and Jomsom-Pokhara flight. In Kathmandu, you will stay in a three-star hotel while you will be staying at standard guesthouses during your travel. There will be electricity, internet, laundry and hot showers in all of the places you stay. You will have to share your room with a fellow traveller in our typical package. Single supplement will be served on request and will cost an additional USD 50.Also note that single rooms is easily available in Kathmandu and the trekking regions at lower elevation but it might be difficult to find them at higher elevations. You have to bring all travel equipment yourself. Please see the equipment section for a standard list of required equipment prepared by our guides. Most of the items are easily available in Kathmandu in case if you miss any and we also lend you some of the gears for the duration of the trip for a small fee. It is advisable that you free up a few days before and after your trip schedule. For reasons beyond our control like flight delays, accidents and natural hazards, the itinerary may have to be altered. Due to strong winds and constantly changing weather at Jomsom, your flight from and to Pokhara may be delayed.